VPN (virtual private network) is one of the better ways to obscure your activities online. Your data connected becomes encrypted when you are making use of VPN. Later on, no one can see which websites you visited or what data you downloaded. NordVPN is one of the world’s best VPNs that works at TCP/IP layer ensuring that all your apps are secured properly. This VPN can protect your complete network including mobile, tablet or TV too. You can browse freely while using NordVPN without worrying about any security trouble. NordVPN, the Panamanian Company is highly dedicated to security. It makes use of military grade encryption for hiding your traffic from the prying eyes. It offers you low ping times. The servers of NordVPN are designed to bear up the high traffic with ease. This makes it ideal for speedy internet browsing. 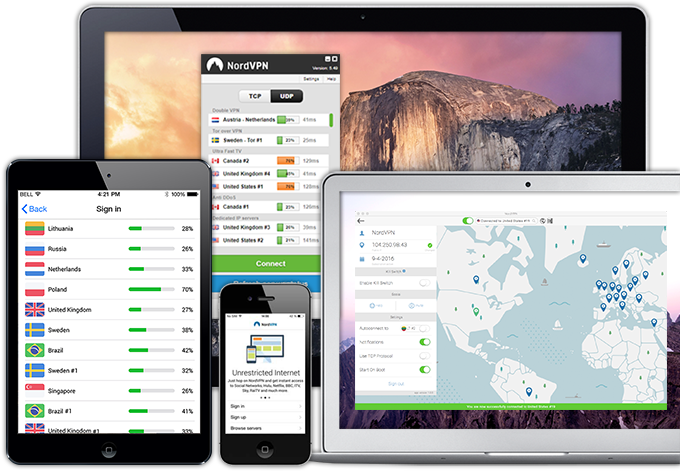 NordVPN is the ideal solution for your personal privacy and protection. 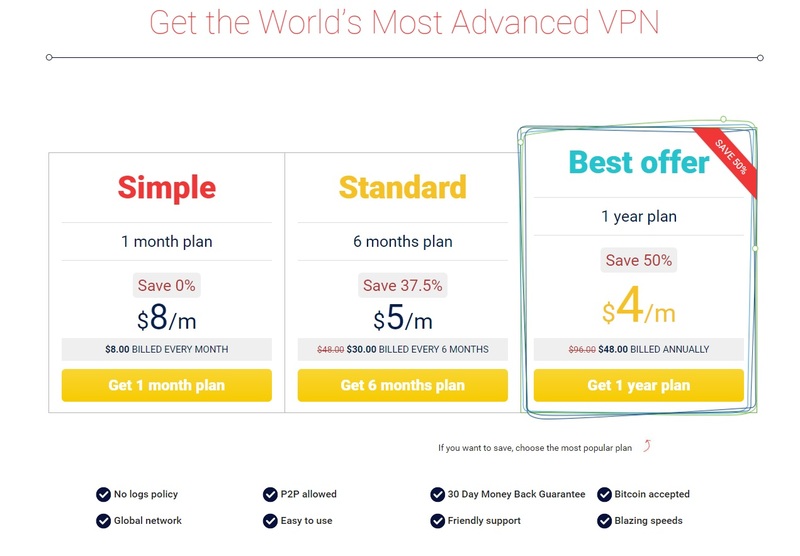 Just like most of the VPN providers, NordVPN offers standard plans to customers at really affordable price. If you go for a monthly plan that is the ‘Simple’ plan, it will cost you 8 Euros for a month. The ‘Standard’ plan will be billed for every 6 months and will cost you about 5 Euros per month. But, NordVPN has the best plan to offer you. ‘Best Offer’ plan will be billed for a year and will cost you around 4 Euros every month. All its plans are built keeping the needs of customers in mind and are the best value for money. Not only this, if you are from the person who loves to test the product first then NordVPN also offers you a three-day free trial plan on request. You need to email them with a request and they will provide you the trial access to their VPN. The NordVPN, Panama-based company can efficiently run secure VPN service as it is out of USA and Europe jurisdiction. They have fully utilized this opportunity to provide added security features to their VPN networks. The basic protection they provide to their customers is absolutely no logs. The 256 bit AES Open VPN protection ensures that the NordVPN servers remain extra protected. The L2TP/IPSec and PPTP connections are also available. NordVPN takes proud that it is the only VPN that allows Tor over VPN. It has double-hop encryption system which is nearly impossible to break. On top of all its features, NordVPN has numbers of free tools on its website to help you out in protecting your security and communications. NordVPN has a great website with fluid design. The instruction set up is easy to follow and it has plenty of documentation to help out the beginners. You may find their presence on social networks like Facebook and Twitter. The website also has number of free tools for your aid. NordVPN Support NordVPN has a phenomenal FAQ section and knowledge base. But the best part is that it provides 24 x 7 Live Support to all its customers. You can expect the technical answers too quickly from the support staff. The waiting time is small too unlike most of the VPN providers. They also have ticket system to help you out. You just need to mention the query in the ticket and they will respond to your ticket within 4 hour time. NordVPN client is the most detailed client available. The front page will show you loads and pings of each server so that you can make a selection based on location and suitability. These servers are also categorized on the basis of recommended use and also on basis of advanced settings they had built in DNS leak protection and kill switch. You can also change between UDP and TCP protocols with ease. UDP can be used to get better speed and TCP is better if the VPNs are blocked. The average speed on NordVPN was fantastic and there was negligible speed loss. But the variations were observed on different times of the day and server to server. But it was always available for high speed streaming and day to day use. DND Test was perfect and DNS leak protection worked good. IP tests were also perfect. But, if you are switching between the DNS, you will need to restart software. This was quite annoying. NordVPN has the proprietary software for Windows, Mac and iOS, but you need not to worry, the others are in development mode. It has provided awesome setup guides for OpenVPN in the mean time for all the major platforms including Android and Linux. NordVPN is highly dedicated toward the privacy and security. There is no doubt that it will maintain this standard as it grows in the network of VPNs. When it comes to cost, NordVPN is just phenomenal. It is worth for money. If you love to browse privately and love to play with data at high speeds then NordVPN is the ultimate solution for you. Go for it!! !